Choosing the right cookware isn't as easy as finding the best sale. There are countless options from which to choose and just as many controversies surrounding that decision. What is the best choice for healthy cookware? Cookware is an important part of the cooking experience but some cookware can serve up more than you want -- namely, toxic chemicals. There are many choices available, each with its own advantages and drawbacks. Here are some of the most popular. There's no question that non-stick cookware is convenient and easy to clean, but there are legitimate reasons to be concerned about this option. Non-stick cookware often contains perfluorinated compounds (PFCs), manmade chemicals that can be extremely toxic. "[PFCs] are a likely carcinogen, as they have been shown to cause cancer in animal studies," says Lisa Beres, green living expert and co-author of Just Green It. Beres suggests healthy non-stick versions like Cuisinart's Greenware, which is made of a PTFE- and PFOA-free nonstick cooking surface. Aluminum cookware is easy to find and affordable, making it a popular choice among the budget-conscious. But there are some significant drawbacks, especially when you cook with acidic foods like tomatoes, citrus or wine. 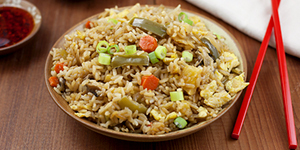 "Avoid direct food contact with aluminum, especially with acidic foods, as the aluminum salts from the cookware can leach from the pot into the food being cooked," says Beres. "Use only anodized aluminum instead." Ceramic cookware is generally considered safe, though it can be pricey. "Ceramic uses less energy to cook meals and helps keep food hot for a longer period of time," says Beres. Care must be taken when purchasing ceramic cookware because some may contain toxins such as lead and cadmium (especially if it's made in China). It's important to pay attention to the condition of your cookware because toxins can be released when the coating wears down or chips. Cast iron is a popular choice for many and is often handed down from generation to generation. 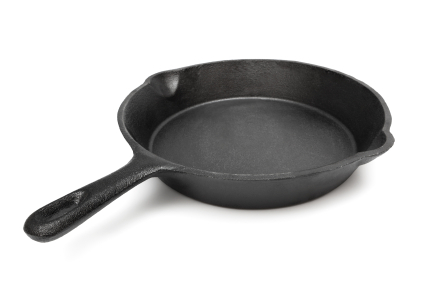 If you take your cooking seriously, you'll love cooking with cast iron, especially because it heats quickly and evenly. This heavy cookware requires a bit of effort to keep it properly seasoned and clean but the craftsmanship makes it worth it. Additionally, cast iron can be expensive but is a great choice for those looking for healthy options. Stainless steel is easy to find and is affordable but it doesn't conduct heat evenly (unless it's layered with another material to improve conductivity). "Stainless steel presents the potential likelihood of metal leaching into your food and allergen issues," says Beres. Specifically, those sensitive to nickel may have an adverse reaction to stainless steel cookware. Whatever cookware you choose, the process deserves a bit of thought, especially if you're interested in cooking as healthy as possible.